The Renaissance Brewing Company had four selects on the shelves of the lcbo I hit up this weekend. I went for the two lighter ales instead of the ipa and imperial ipa. 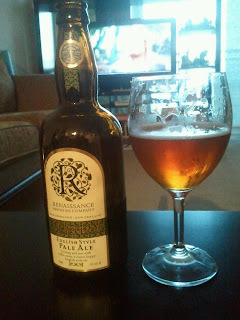 The English Style Pale Ale was so unbelievably delicious. From first scent, and without reading the bottle, I immediately felt the toffee. It was drinking my childhood if my childhood consisted of state fairs and salt water taffy. 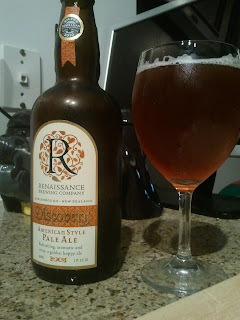 The American Style Pale Ale was really beautiful as well. It was lighter in body than an American IPA of course, but had the same notes and a nice light hoppy flavour. I'm totally going back for the IPA and imperial IPA.